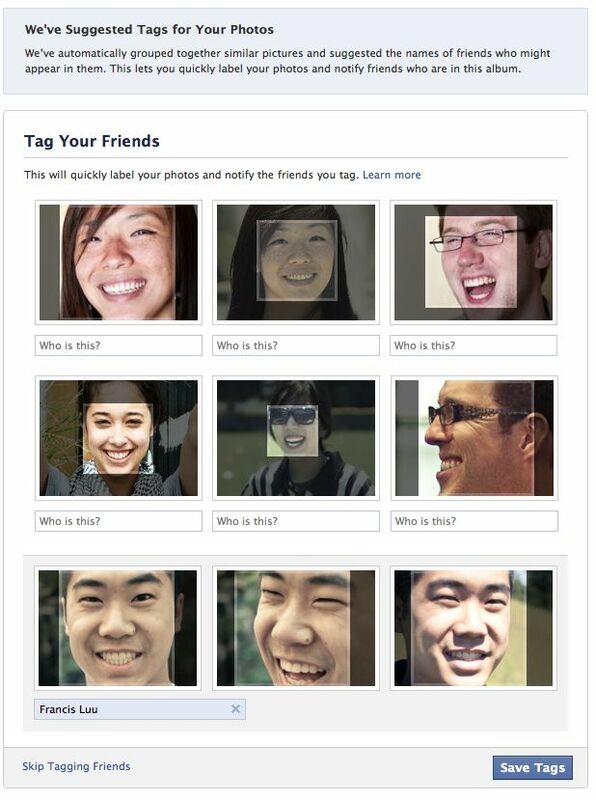 Facebook's Facial Recognition Technology - What Are Your Thoughts? Facebook’s Facial Recognition Technology – What Are Your Thoughts? Back in December, Facebook announced new technology that would “help” users tag friends more easily through the use of facial recognition technology. The basics are this – the more photos that are tagged with a particular person’s name, the more data Facebook has on what that person looks likes. On a large scale, with many different photos with different lighting, angles, expressions, etc… Facebook will be able to more accurately know exactly who that person is that you’re looking at. And then, Facebook will be able to recommend a tag (a person’s name) for you – basically tagging your friend’s photos with their name automatically. This technology has a long ways to go before it’s operating at a high level of accuracy, as you can see here. However, for those who are already paranoid, and offended, by Facebook’s loose privacy standards, Facebook’s facial recognition technology isn’t going to help you feel any better. The problem with that is, if enough photos of you get uploaded to Facebook – say, because you are in a photo with one of your friends who is uploading their photos to Facebook – then Facebook’s facial recognition technology will start identifying your photo and recommending a tag name for you. Regardless of whether you are on Facebook or not. So the question is, how do you feel about Facebook’s new facial recognition technology? Do you feel it’s a great feature that brings efficiency to one of the most popular features on Facebook – photo sharing? Or do you feel it’s another example of an outright violation of your personal privacy?